It’s hard to tell from the temperature outside, but July is starting to wind down and August is just around the corner. That means Summer Break is nearly over, and all the mayhem of Back to School season is almost here. 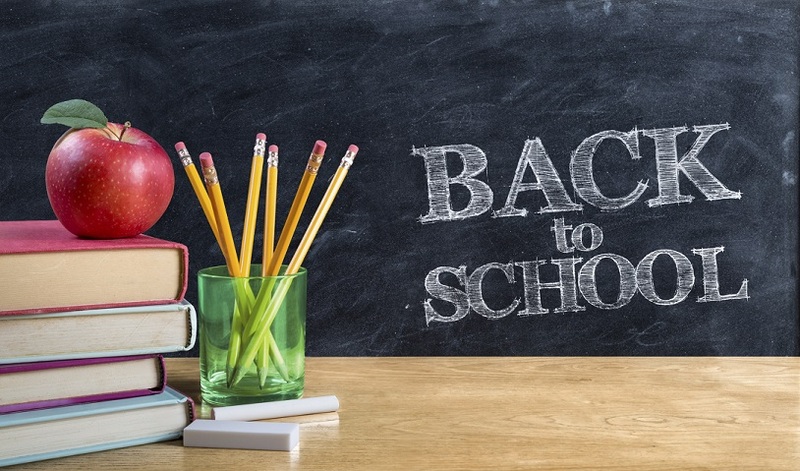 Making sure that your kids are ready for the school year involves a lot of planning and hard work. There are clothes to purchase, school supplies to get, and backpacks to fill. There’s a year worth of lunches just waiting to be made and a year worth of afternoons waiting to be spent helping with homework. A lot of planning, preparation, and hard work goes into getting our kids ready for school. You want to make sure that your kids are ready to get the most out of their education. Just as important, though, is making sure that your kids’ schools are preparing them for a lifetime of success and high achievement. No one knows the importance of a quality education better than our very own Wanda Peterson, who devoted years of her life to helping kids learn and grow as a public school teacher right here in St. Johns County. That’s why Team Kelly and Wanda is so proud to help families find homes in Ponte Vedra Beach and Nocatee. St. Johns County has some of the best public schools in the country, which is why Northeast Florida is such an amazing destination for anyone looking to buy a home. Obviously, anyone looking to buy a home in Jacksonville knows about the fantastic weather, the wide variety of luxury neighborhoods, and the proximity to the Beach. What they don’t know is that buying a home in St. Johns County is one of the best investments you can make in giving your children a bright future. Out of 67 school districts in the State of Florida, St. Johns County public schools have ranked first in every academic year since 2008-2009. The graduation rate from St. Johns County schools is more than 10% higher than the State average. Students in St. Johns County routinely outperform students in other districts at every grade level. To learn more about how amazing the St. Johns County Public Schools are, check out this cool infographic! Clearly, there are dozens of great reasons to buy a home in Ponte Vedra Beach or Nocatee. The weather, the beach, the golf courses, and the unique First Coast culture are all enough to make this a great place to live. For families, though, the chance to send your kids off to school every day knowing they’re getting a world-class education is literally priceless. If you want to learn more about everything St. Johns County has to offer your children, give us a call today!